Swiss Fintech Pro was founded in Hong Kong in 2002 and has now offices in Hong Kong, Zug and Geneva and a global network of partners firms. 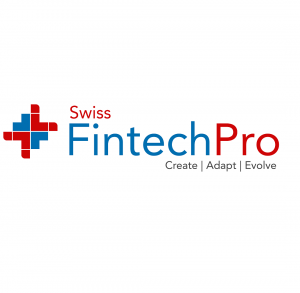 SwissFintechPro is the conjunction of a law and a consulting firm providing a comprehensive business advisory platform, for Fintech or Financial Services companies that encompass legal, business consulting, accounting and tax services, as well as tailored retainer services. Our aim is not only to help you to create your financial business but also to help existing businesses to adapt and evolve. Through our network of partners, we can provide advisory services in all Europe, Switzerland, UK, Singapore and Hong Kong as well as in offshore jurisdictions such as the Commonwealth of Dominica, the Caymans and the Seychelles to name but a few. Join some of the fastest growing start-ups and build your business using boutique SwissFintechPro services. Financial Services Companies such as: Sandbox; Asset Management, Precious Metals; Money Remittance; Money Exchange; Payment Service; EMI or Stored Value; Forex STP or Market Maker; Security dealers. Retainer Services such as: Legal advice on ongoing obligations and reporting duties to local regulators; Legal updates on regulatory changes that may affect your business model; Legal assistance client’s complaints; Legal review of the company’s website; Client agreements etc. Our team is composed of lawyers, financial advisers and accountants who have years of experience in the business. As more and more knowledge and fields of expertise are required to launch a fintech business we work both with in-house and outside experts depending upon the needs of our clients.